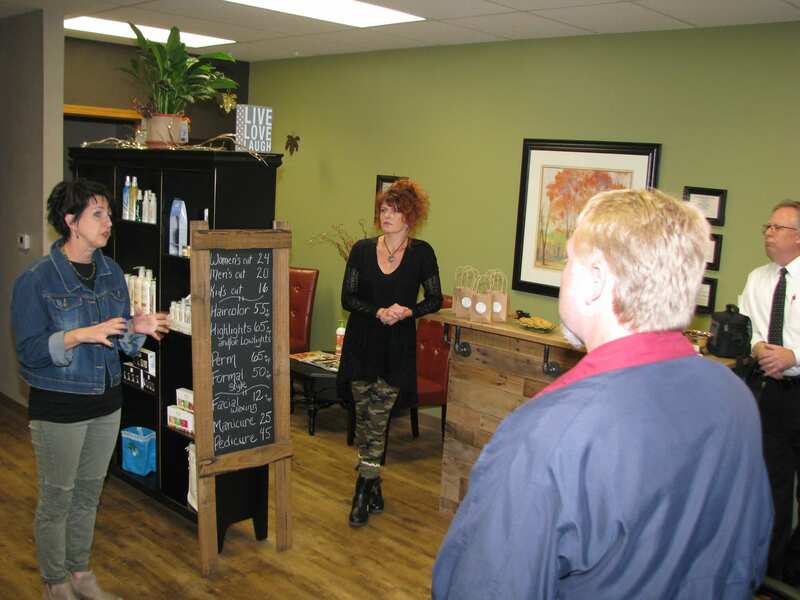 Members of PABA Backers and Board of Director toured the R Salon at 3101 & 3105 MacArthur Way in Plover where they were hosted by salon operators, Barb Engle and Becky Diver. 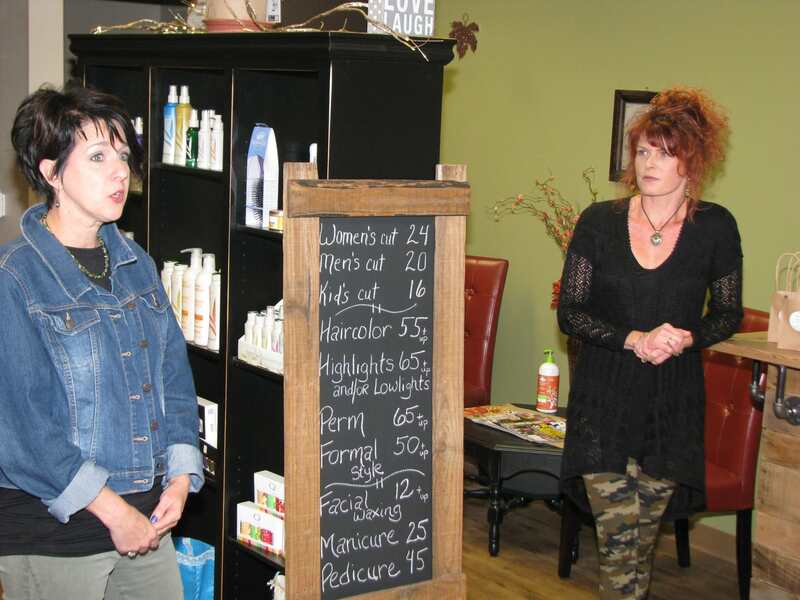 Barb Engle, co-owner of R Salon along with Becky Diver (center) answer questions as PABA Backers Mark Finnessy, Okray Family Farms (foreground) and Tim Durigan, Mark Motors (right) listen. 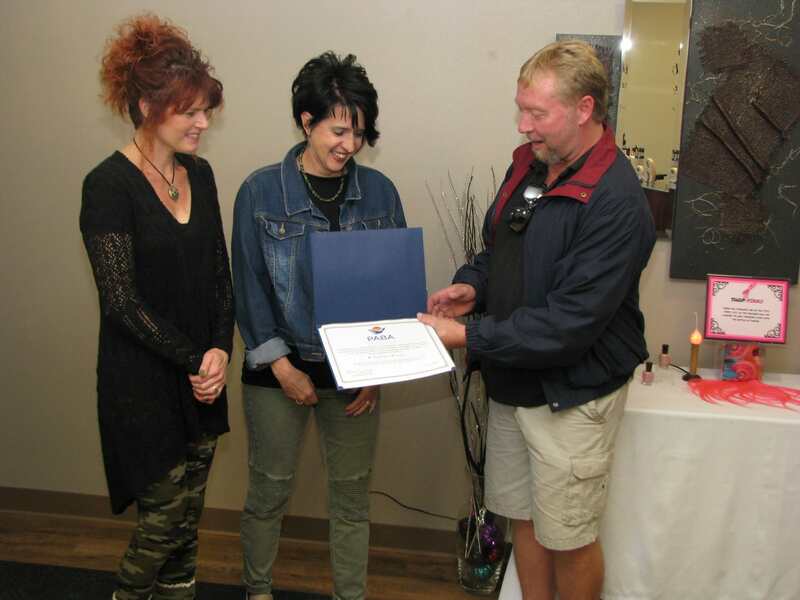 R Salon - Plover owners Becky Diver and Barb Engle accept a welcoming certificate from PABA Backers' President Mark Finnessy of Okray Family Farms. 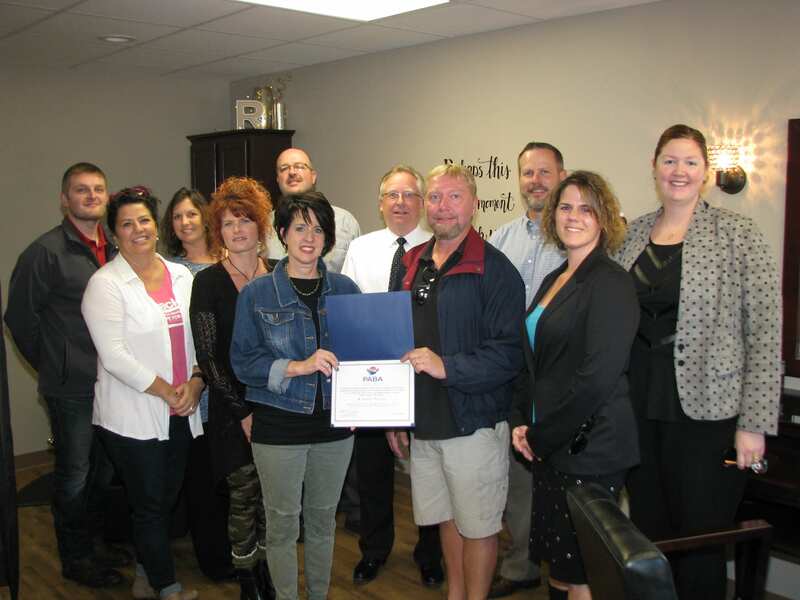 FInnessy and his PABA cohorts honored the R Salon owners for 'providing personal hair care to clients across the greater Plover area as they help customers "Renew, Relax & Revitalize"
Gathering for a group shot with R Salon co-owners were other PABA members: (L-R) Kyle Okray, Okray Insurance Agency; Tammy Jankowski, Duraclean Specialists; Nicki Hintz, Community First Bank; Becky Diver (R Salon co-owner); Fred Hebblewhite, United Way of Portage County; Barb Engle, (R Salon co-owner); Tim Durigan, Mark Motors; Mark Finnessy, Okray Family Farms; Jon Steele, Mid-States Technical College; Carrie Mish, Investors Community Bank; and Jesirae Heuer, Edward Jones Investments.